, but that doesn’t mean you can’t own a piece of it right now. 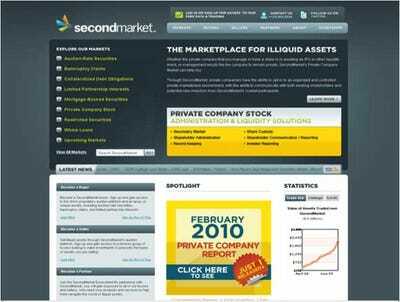 SecondMarket is a New York City based startup that operates markets for various types of illiquid assets. 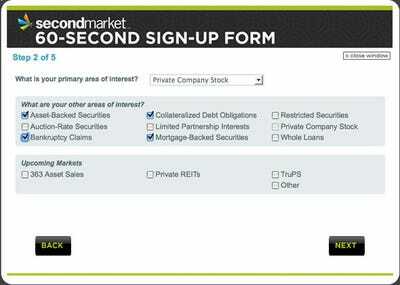 Last spring, SecondMarket added private company stock to the list of assets it trades. And by a huge margin, the most-traded company in that market is Facebook. That’s not to say that buying in to a private company is easy, exactly. For starters, you need to be an accredited investor. 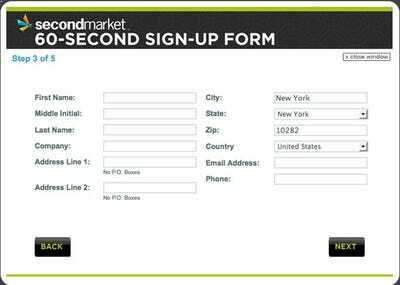 You also need to be willing to spend some cash (or band together with other investors) — the smallest Facebook transaction in SecondMarket’s history was for $50,000. The median sale on the private company market is $1.2 million. SecondMarket makes trading these assets far easier than it otherwise would be, but these are still low volume, inefficient exchanges. 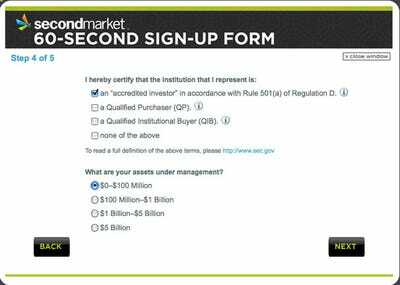 Second Market calls its procedure a “hybrid model”. Buyers and sellers can submit their orders much as they would on a conventional trading platform, and in theory, the markets could clear automatically. But as a practical matter, there are generally wide bid-ask spreads. 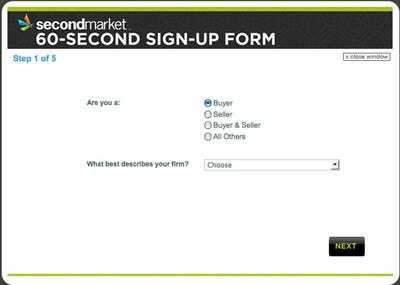 SecondMarket uses the bids and offers to determine possible matches and then hits the phones to make deals actually happen. 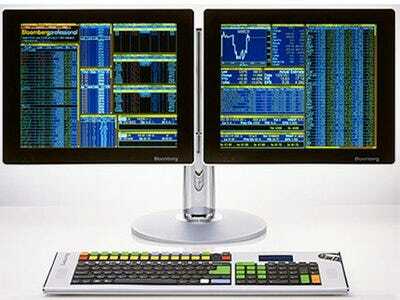 The goal is to make the markets as automated as possible. 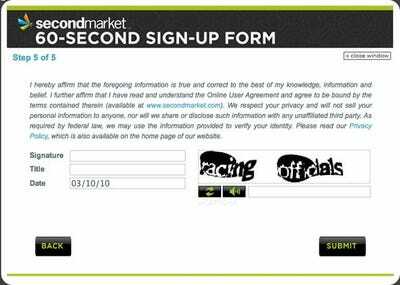 In the meantime, SecondMarket is already a powerful tool. And anyone with the money and the desire can buy in to the most promising startups. This is SecondMarket's home page. It's essentially just an ad, because you can't do anything here until you sign up. 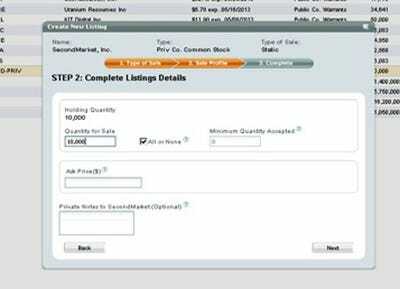 Indicate whether you're primarily interested in buying or selling. 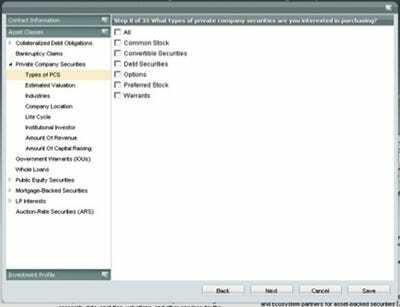 Most securities are listed as static sales, but they can also be auctioned. 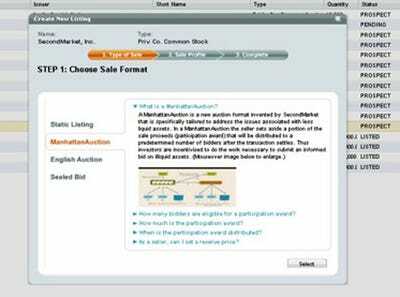 Bidding is this simple. 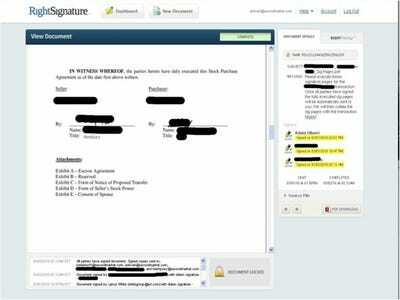 SecondMarket maintains detailed fact sheets on the companies it lists. 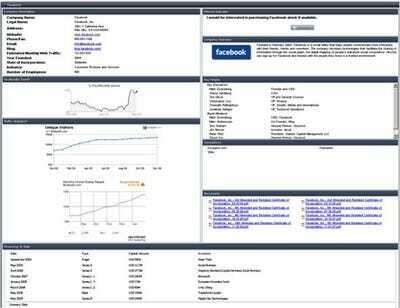 For Internet companies like Facebook, pictured here, you can see graphs of various traffic metrics over time. 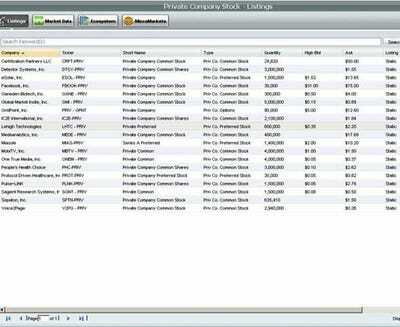 Set how much stock you have for sale, and how you want to price it. As a practical matter, this is usually just an opening bid. 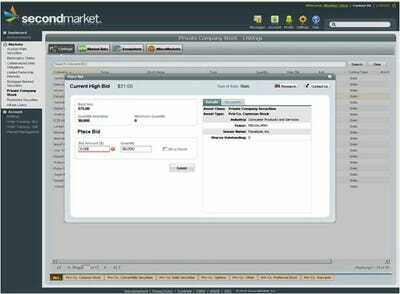 Second Market's team works to connect buyers and sellers through old fashioned phone calls. 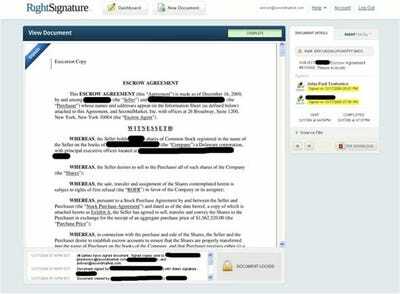 Once you've signed off on all the legal language, you're done. The money is held in escrow while Second Market clears all the legal hurdles. The transfer will be official in 4-5 weeks. 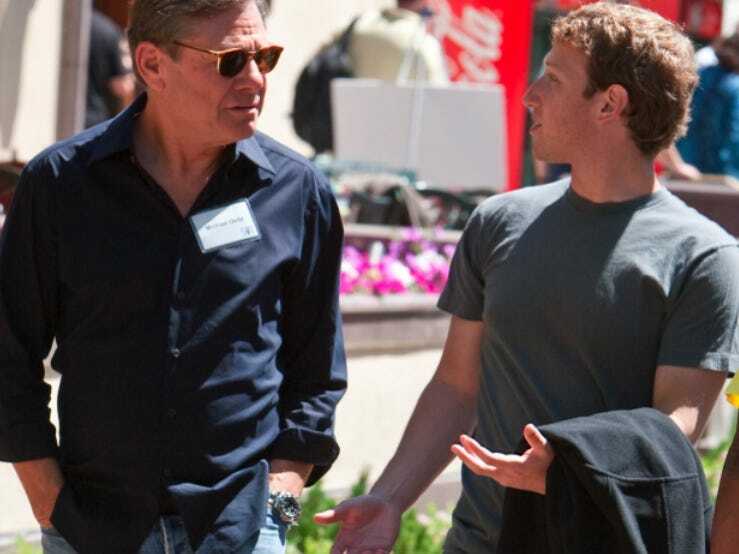 Congratulations, you own a piece of Facebook!